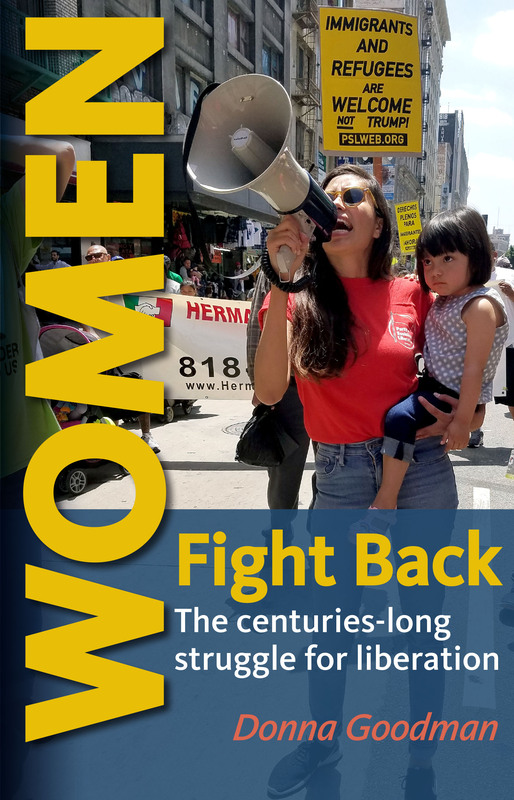 Women Fight Back: The centuries-long struggle for liberation follows the evolution of a movement that has thoroughly transformed society. Donna Goodman, a long-time partisan of the struggle for women’s liberation, recounts how women in the United States confronted a whole society — from the legal system to popular culture to home life — that was immersed in blatant sexism, discrimination and anti-woman violence. Challenging the notion that the women’s movement just reflected the concerns of the middle class, Goodman highlights the contributions of working-class, Black, Latina, queer and other oppressed women, who always made sure their presence was felt and perspectives were heard. Generation after generation, the movement itself became the terrain on which women of different backgrounds articulated and debated the meaning of liberation, often in radical terms. Women Fight Back compares the status of women in the United States with other capitalist societies, and with women under socialism. It concludes with a review of the challenges of women’s organizing today, projecting a vision of how a new wave of militant struggle could be coming in the era of Trump and into the future. "The idea for this book grew out of a mix of indignation and optimism: indignation toward the right-wing backlash against the gains women have won over more than 150 years of struggle for equality; and optimism that women would once again rise up and fight back to preserve and extend those gains. "The election of (Donald) Trump was a game changer. With this blatant sexist and his hard right-wing cabinet occupying the White House, all the gains of the women’s movement for the last 50 years are in grave danger. It is urgent to build a militant, broad and united women’s movement to fight back." About the author: Donna Goodman is a long-time peace and justice activist in New York’s Hudson Valley. She is a member of the Party for Socialism and Liberation and co-editor of the Hudson Valley Activist Newsletter.